MacRevival + Archangel offers a complete suite of computer and mobile device repairs - everything from hardware repairs, to software installations, upgrades and virus removals. We pride ourselves in providing the highest quality of work in the area. Unlike many computer repair shops, we'll gladly work on your Apple devices - in fact, they're one of our specialties! We offer repair services on all Apple devices - iPhone, iPad, MacBook, MacBook Air, MacBook Pro, Mac mini and iMac. And unlike many other repair shops, we don't charge a premium to work on Apple devices, meaning you get the same fair prices for your repair! We offer free diagnostics, meaning you won't pay just to find out what's wrong with your device. 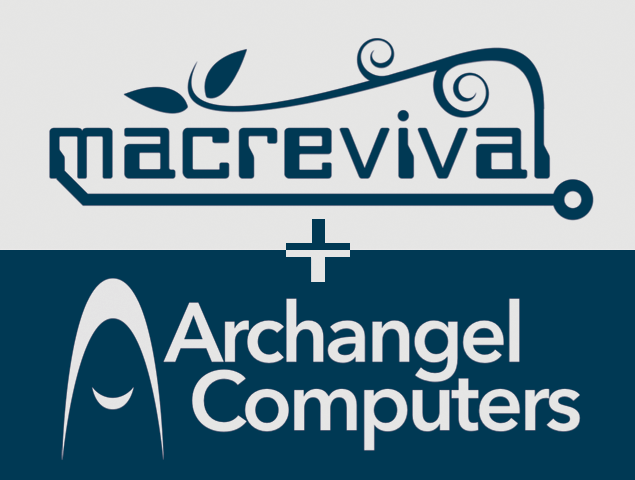 MacRevival + Archangel is also a leading provider of repairs for PCs of all makes and models. No matter what your computer is, or what it's issue is, we can help! We provide expert knowledge, fair prices and outstanding service. We offer free diagnostics, meaning you won't pay just to find out what's wrong with your device. We are proud to offer free, no-obligation diagnostics. Other computer repair shops charge anywhere from $40 to $80 for diagnostics. Contact us today to learn more, or visit one of our locations for your next-buiness-day estimate. The data on your computer - your personal documents, family photos, and business data - is invaluable. Unfortunately, computers are not perfect and data loss can be inevitable. When distaster strikes, we offer data recovery services that can save your crucial data in the event of a hard drive failure. And to better protect against data loss, we offer a selection of backup hard drives in all of our stores, and can even custom-build file backup servers for larger businesses. Viruses and malware are nasty bits of computer code that cause annoying pop-ups, slow your system's performance, and can even steal information. Thankfully, MacRevival + Archangel is here to help! We offer the fastest turnaround time on virus removals of anyone in the area, and with our combined years of experience we will not only remove all traces of malicious software from your system, but suggest the best anti-virus and anti-malware solutions to better protect you in the future. Let's face it: we've all cracked our smartphone's screen, or know someone who has. When these accidents happen, turn to MacRevival + Archangel. We can replace the glass or screen on many makes and models of tablets and smartphones, including iPads and iPhones. And, unlike some repair shops or the mall kiosks you see around, we use only high-quality replacements parts that meet OEM standards, so you know you're getting the best repair for your money. Can't make it into one of our locations? We offer the ability to work on your computer over the internet with our remote support solutions. Many quick questions or issues can be resolved without you leaving your home (perfect for the winter months), for a very reasonable fee.